Easter is just around the corner. One of the things I love about this time of year is that we get to spend time with our family as well as eat delicious food. Each year is pretty much the same for us, we usually dye our Easter eggs on Good Friday and relax Saturday. Easter Sunday morning the kids are up and looking at what the Easter Bunny has brought them. 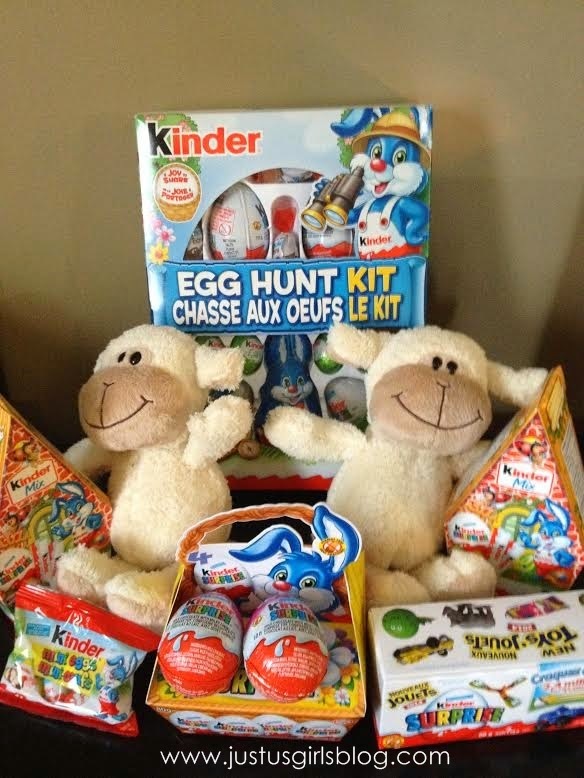 This year the Easter Bunny got a little help from Kinder Canada as we were sent some delicious Kinder Chocolates as well as a couple stuffies to add to the kid's baskets. After breakfast and a light lunch is served, we then head on over to my in laws house for some great food and company along with the kids annual Easter Egg Hunt. This Easter Egg Hunt gets better each year as the kids gets older because my mother in law comes up with awesome goodies to put in the kids plastic eggs they hunt for. Not only does she give them a bag starting them off with a couple eggs, chocolates and five dollars, the eggs the kids get to hunt for has every thing from candy to loonies and toonies and pieces of paper that have little love notes along with other prizes written on them. The kids all get so excited. Even the older cousins still get in on the hunt. 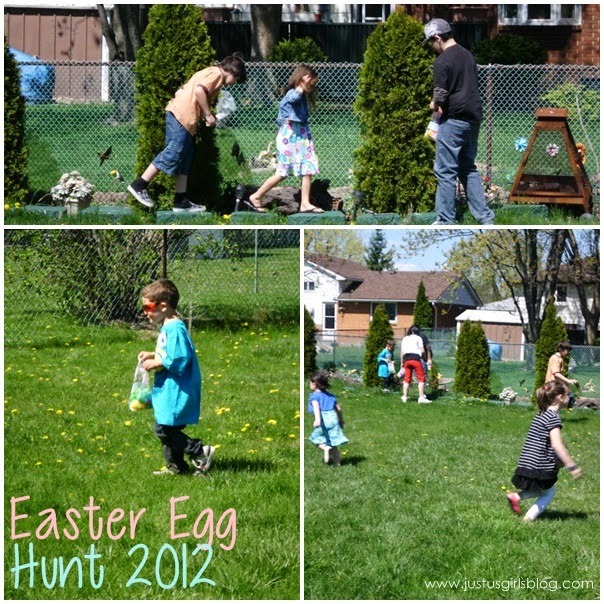 Although they try now more to help out the younger kids, it's always fun to see all the kids out in the backyard running around looking for the eggs. Once all the eggs are collected we all go inside and the kids count and open up their eggs to see and/or read what else they won. My mother in law has a piece of paper that has everything written down and calls out and asks who has a loonie, toonie, etc. Once the hunt is over it's time for us to have dinner. It's traditions like these that will be long lasting memories for my kids that they'll always remember and look back with a smile. I can't wait to share that with our new addition that will be here this Summer. Along with helping us Kinder Moms fill our kiddos basket with some goodies, Kinder Canada is also partnering up with Children’s Miracle Network and will be providing 12 baskets to CMN hospitals. Kinder will also be donating another $25,000 to help support this non-profit organization that's dedicated to saving the lives of children. I don't know about you, but if this is definitely a company that I fall in love with over and over again, not only is their chocolate delicious, but they do so much to help others, it warms my heart.